Enthusiastic and ambitious, Patrick Maroteaux has not ceased his efforts to raise the chateau Branaire-Ducru to perfection with the objective of restoring the wine of this exceptional terroir since he purchased it in 1988. Consisting of 50 hectares in Saint-Julien, the Chateau takes its named from a Mr. Braneyre who owned the estate in 1680. Unique soils give Branaire-Ducru wines their typicity and, with other prestigious neighbours, form an appellation recognized worldwide. Chateau Branaire-Ducru's reputation has been confirmed since it was ranked as a Fourth Growth in the Classification of 1855. Expanding over 50 hectares of vines in the Saint-Julien appellation, Chateau Branaire-Ducru takes one part of its name from Mr. Braneyre, who owned the estate in 1680, and the other from Gustave Ducru, who owned it 2 centuries later. But it was in 1988, with the arrival of Patrick Maroteaux, that this historic property entered a new age of modernity, with more focused attention on the quality of its wines. Discover the magnificent wines of Chateau Branaire-Ducru, a perfect expression of the signature terroir of Saint-Julien. The property known today as Chateau Branaire-Ducru has a history of winemaking dating back to 1680, when it was part of the famous Beychevelle estate. Following the death of the owner, the massive property was broken into pieces and used to pay off family debt. It was Jean Baptiste Braneyre who purchased the vineyards and created the Chateau Branaire-Ducru estate in 1680. A few decades later, the owner's daughter, Marie Braneyre married Pierre du Luc and had Laurent du Luc who ended up marrying Marie de Chillaud of the Fieux de Larenchere. After the death of Laurent du Luc in 1814, during the penultimate campaign of Napoleon, the Branaire-Ducru estate passed to his wife, Marie, who managed it alone and then passed it on to her two sons. In 1824, Louis and Justin Duluc commissioned a beautiful chateau on the property and named it after the father of their grandmother, Braneyere (but spelled Branaire instead). In 1855, the year of the World's Fair in Paris, Napoleon requested wine samples from the top producers of Bordeaux for what would become the most famous classification system in the world of French wine. 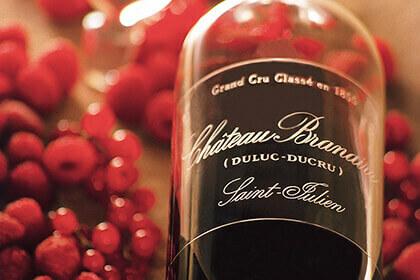 Chateau Branaire-Ducru was ranked a Fourth Classified Growth, joining the prestigious family of Bordeaux Grand Crus. In 1875, the estate was taken over by Gustave Ducru, a distant relative who added his name to the property. After his death and the death of his sister, Zelie Ravez, the property was inherited by three nephews - the Marquis de Carbonnier de Marzac, the Count of Ravez and the Count of Perier de Larsan, deputy of the Gironde. The noble crowns of the latter are still illustrated in the four corners of the estate's wines today. In 1988, Patrick Maroteaux purchased Chateau Branaire-Ducru, bringing a new age to the estate. 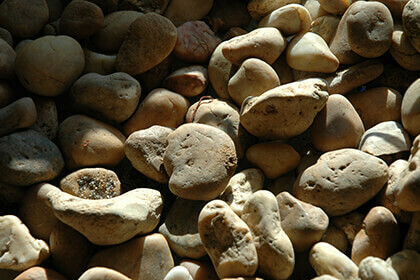 Maroteaux began modernising the vineyard and winery, reducing yields and increasing vineyard size by 10 hectares. He did so with the help of winemaker Philippe Dhalluin. The winery was redesigned to allow for gravity-led movement of wine into tanks. In 2004, Philippe Dhalluin left Branaire-Ducru for a position as Winemaking Director at Chateau Mouton Rothschild, and was replaced by Jean Dominique Videau. 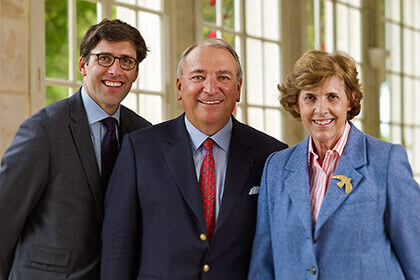 The chateau is now owned by Francois Xavier Maroteaux, who took over after his father passed away in 2017. 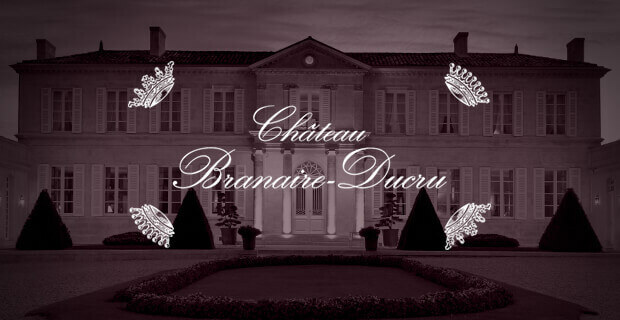 Over the past few decades Chateau Branaire-Ducru has become known as one of the top values on Bordeaux's Left Bank. The 50 hectares of vineyards belonging to Chateau Branaire-Ducru are located in the Saint-Julien appellation, between Margaux and Pauillac, in the Medoc region. The parcels extend along an east-west axis in the southern part of the appellation. The soil type here is dominated by clay, siliceous alluvium and deep Quaternary gravel, ideal for growing Cabernet Sauvignon, the flagship varietal of Bordeaux's Left Bank, which covers 65% of the estate's planted area. The rest is planted with 28% Merlot, 4% Cabernet Franc and 3% Petit Verdot. The vines grow on a slope with a peak elevation of 14 meters. As it is commonly believed in the St. Julien appellation, the best terroir is that which is located closest to the Gironde River, which regulates the temperature. This results in mild winters and cool summers in this area, perfect for Cabernet Sauvignon and some later grape varieties, like Petit Verdot, to reach full maturity in time for harvest. Overall, the vines have an average age of around 35 years, though the oldest vines are close to a century old. The vineyard territory is divided into 15 blocks and 70 different parcels, each of which is grown at its own density, falling somewhere between 6,000 and 10,000 vines per hectare. The harvest at Chateau Branaire-Ducru occurs on a parcel-by-parcel basis, as does the vinification at the brand new, gravity-flow winery. The fruit ferments in 28 temperature-controlled vats of stainless steel, with the size of the vats varying between 30 hectolitres to 210 hectolitres, depending on the parcel vinified in each. Fermentation takes place at temperatures between 26 to 28 degrees Celsius for around 21 days. Malolactic fermentation also takes place in the tank. The wines are then pressed and aged separately in French oak barrels, of which around 60-65% new, for a period of 16-20 months, depending on the vintage. The wines are not filtered and racked with the help of gravity as it ages. The fining is done with fresh eggs before the wines are bottled at the chateau. 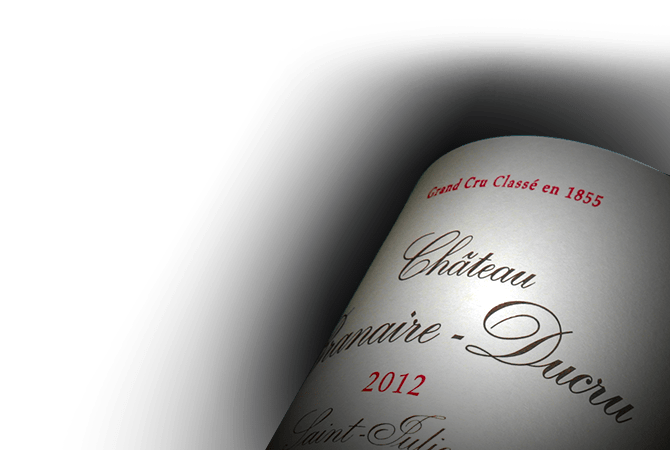 Chateau Branaire-Ducru produces a namesake Grand Vin, as well as a second wine called Duluc de Branaire-Ducru made from some of the younger vines of the property. Duluc de Branaire-Ducru wines tend to be fruity and very nicely structured, frank and powerful on the palate. Due to its friendly, approachable nature, this wine can be enjoyed quite early, after only around four or five years in the bottle. The estate also owns a 3.5-hectare property in the appellation of Haut Medoc, from which they produce a wine called Haut Medoc de Branaire-Ducru. The wines of Chateau Branaire Ducru are true classics of the Saint-Julien appellation, ones that achieve great balance in the glass. The aromatic palette is quite powerful, distinguished by notes of fruit and spices, along with touches of cocoa and peppercorns. On the palate, these wines tend to be both powerful and silky smooth, clearly expressing the terroir of Saint Julien. With fantastic cellaring potential, they should be stored for at least one decade in order to most clearly reveal its character.